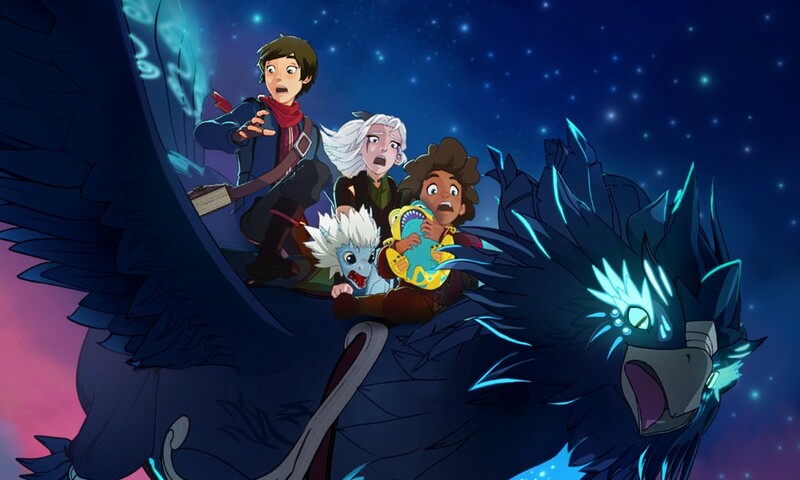 Only a few days until the release on the Netflix catalog of the second season of the animated series The Dragon Prince. Below the very first scenes in the official trailer. "An extraordinary discovery inspires two human princes and an elven assassin to team up on an epic quest to bring peace to their warring lands." The series is an original fantasy production directed to a teen/adult audience, produced by the young animation studios Wonderstorm, created by Aaron Ehasz (Avatar: The Last Airbender), Justin Richmond (director of the videogame Uncharted 3) and produced by Giancarlo Volpe (Star vs. The Forces of Evil, Star Wars: The Clone Wars, Avatar: The Last Airbender). After the first 9 episodes of the season one, now it's the turn of another 9 episodes available for the second season on February 15.